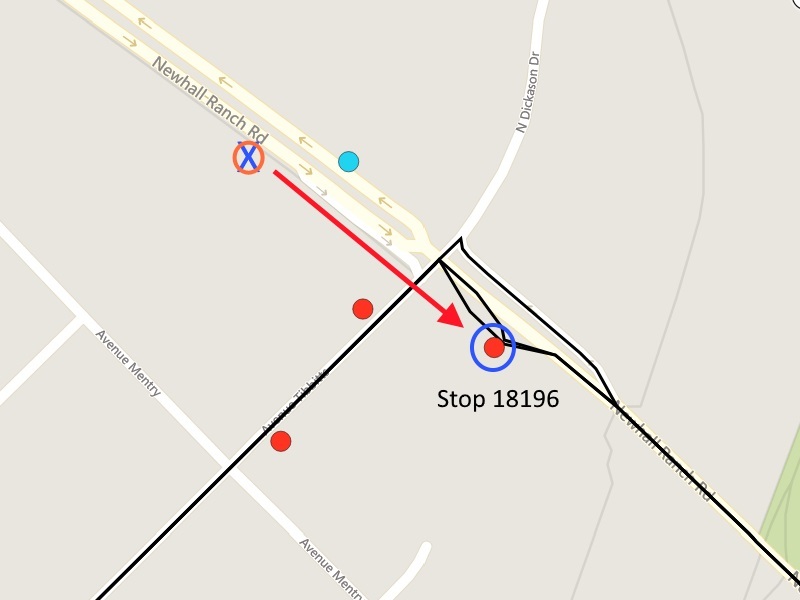 The bus stop at Newhall Ranch Road and Avenue Tibbitts (#18196) is now reopened. 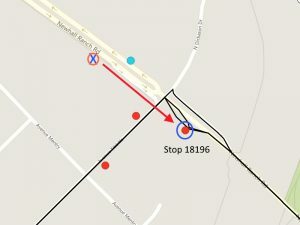 We will continue to serve the temporary stop on the northwest corner of Newhall Ranch Road and Tibbits for approximately 30 days or until signage is removed. Please see map for details (or see map below). La parada de autobús en Newhall Ranch Road y Avenue Tibbitts (#18196) ahora esta reabierta. Continuaremos sirviendo la parada temporal en la esquina noroeste de Newhall Ranch Road y Tibbits por aproximadamente 30 días o hasta que se elimine la señalización. Por favor vea el mapa para detalles (o vea el mapa abajo). Por favor, mire el mapa para más detalles.